Interruptions to blogging come in many forms, including travel. Bloggers may even agonize over being days away from their sites, experiencing what some would consider withdrawal. Scrap paper littered with post ideas sit unfinished and unwritten. Most excited about the “Career Buckets” post, my time just wasn’t well-managed. Tomorrow we head to Iceland. Of course, the excitement for the trip has been steadily building. 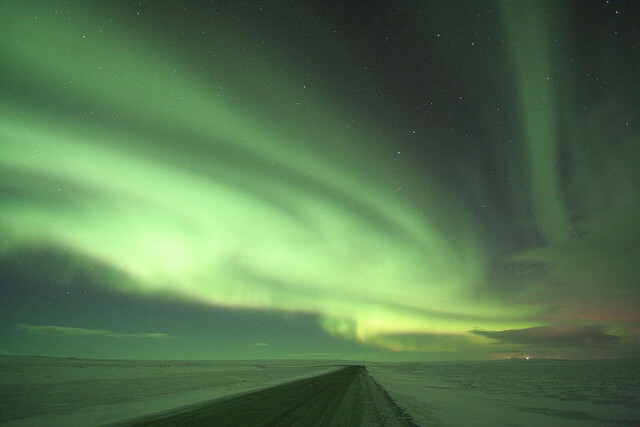 One highlight… a Northern Lights tour. We’ve scheduled the expedition for immediately after the New Moon. Having the darkest sky should increase our chances of a sighting, so fingers crossed. Oh and one last announcement before we get to the articles. There will be a giveaway this Saturday, February 5th for 3 FREE copies of H&R Block Federal Premium edition allowing you to File Taxes ONLINE file taxes online. JD Roth is counting down to Africa! He’s taking quite the tour – trekking between South Africa, Botswana, Namibia, & Zimbabwe. He offers some info from a new favorite travel site of his TravelIndependent.info. Have fun and can’t wait to see some big game photos! Forest is always trying new things. He did P90X and now he’s on to Tim Ferris’ 4-hour Body. Chatting with him today, he’s leaving tomorrow as well. Flying out of Cairo to New York, it sounds like he’ll be doing an extended stay across the pond with trips to a few different places. Having an extended layover in New York I’d been contacting Evan about maybe getting a drink or some lunch. Turns out there’s already something in the mix for Saturday! Here’s some of their more recent articles. To be honest, I only read 2 of the 4 pieces :) in their entirety, but I’m sure each article holds it’s own. Speaking of Consumerism Commentary, if you are a new Yakezie Member – take the time to check out this podcast with Financial Samurai. Good stuff. Writes a nice post on travel expectations vs reality. It’s a pretty funny recap of thinking you’re somewhere you’re actually not, but raises a worthwhile question at the end.